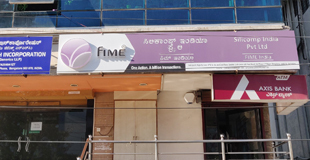 FIME India operates out of Bangalore, India, addressing the needs of Indian, Srilankan, Bangladesh and Nepal markets. The FIME India team provides services and solutions to banks, payment schemes, government, card and terminal vendors, Member Service Providers and SIs in these markets, keeping in mind the local needs of functionality, applications and security requirements. FIME India has achieved Testing Center of Excellence status. The team provides input into the development of test tools for smart cards, reader testing, payment schemes and standards. In addition to this, FIME India offers verification, validation and debugging services for its customers. Our office is located in JP Nagar, a prime location in South Bangalore and is surrounded by some of the famous areas like Jayanagar, Banashankri, Bannerghatta road and BTM Layout.